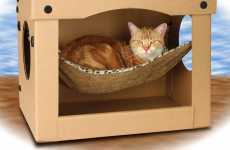 It looks like the wasp’s nests I sometimes come across while hiking, but this patented design uses layers of cardboard to create a cozy designer cocoon for cats. 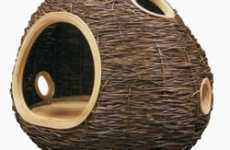 Designed by Warren Lieu of One Form Design, the cocoon is made of 83 laser-cut double wall corrugated cardboard shapes that are hand-laminated to create the form. 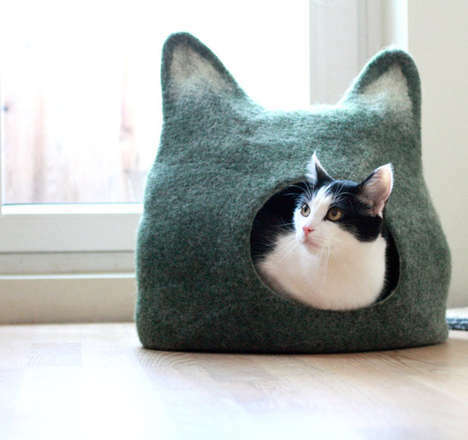 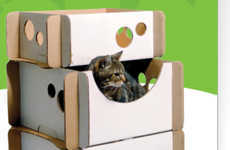 Because it uses corrugated cardboard, the cocoon is an eco-friendly all-in-one object for cats. 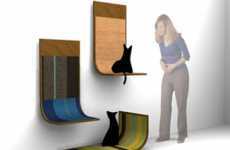 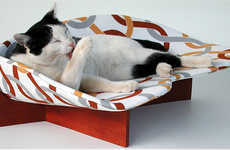 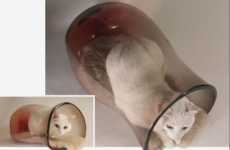 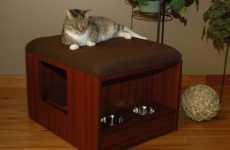 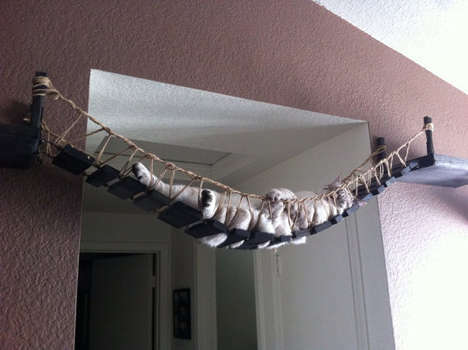 Whether being used for napping, scratching, or play, it’s a practical, artful, fun design for felines. 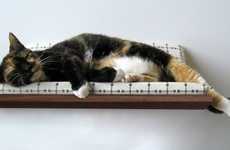 The $330 price tag might give one pause, but ask any group of cats and they’ll say they’re worth it.